Le's furious and steeled voice leaves nothing unturned, propelling these poems through explorations on displacement, womanhood, the body and its endured violences, by confronting a history as tenuous and elusive as the ghosts it conjures. She has created her own version of the Ark, one where the whale, forgotten in the original, is now carried as 'a child of immigrants, like me.' In these tender, earnest yet fierce poems, Le does not reinvent myth, but expands it to include our most damned outsiders. And how lucky we are that, like the great Robert Hayden, she has created a vision where 'Nothing human is foreign...' As such, this book is as much about loss as it is about art-making and being human--and utterly, forgivably alive. 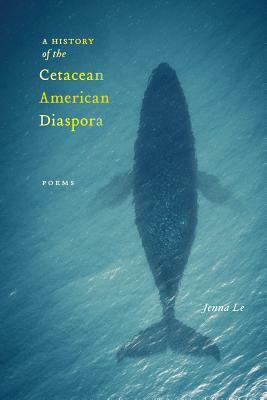 It has been a long time since I have read a book as memorable as Jenna Le's A History of the Cetacean American Diaspora. She makes the forms sound new, but it is also the memorability of her subject matter. An immigrant is compared to a whale; Noah's ark is replayed in a taxi; and physical self-love is transformed into 'fish's skin that] will turn crisp / in a copper pan above a kitchen blaze.' The work is both clever and poignant, with unexpected characters like William Butler Yeats's mistress and a narcoleptic who is scripted into a romance narrative that involves abuse; yet, as Le writes, 'At seven years old, that's what I thought love was.' If you thought you knew what formal poetry was, you need to read Jenna Le's magical, original book.